Evert individual has a distinctive story of love. 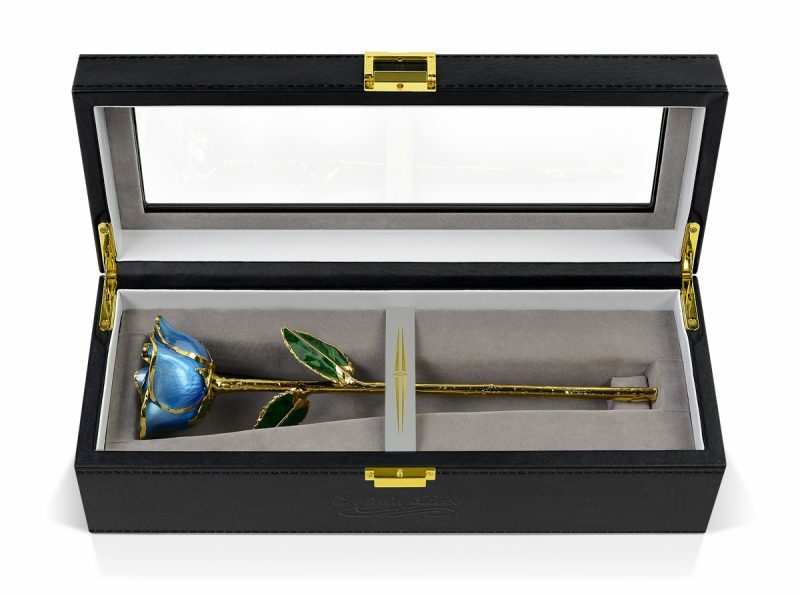 An Infinity Rose is the ultimate unique gesture of true love and commitment that will last a lifetime. When seeking a special gift for her, or a gift for Mum, why not buy the most exceptional rose obtainable? 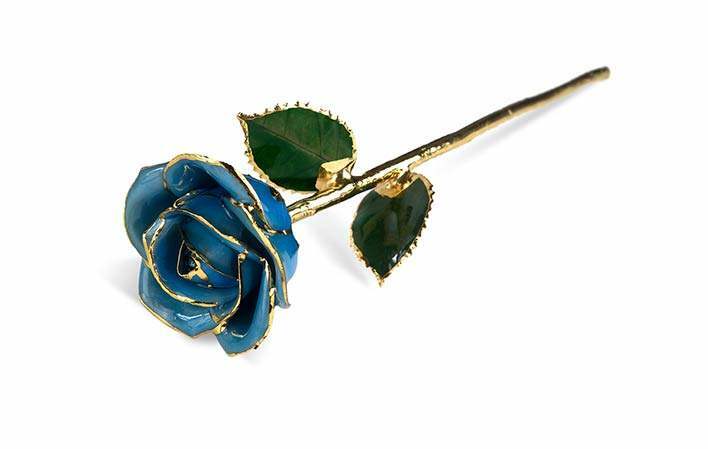 An Infinity Rose is an unsurpassed golden rose flower present that will stand alone amongst all else. There are quite a few other priceless instances in our lives that are to be notable occasions. 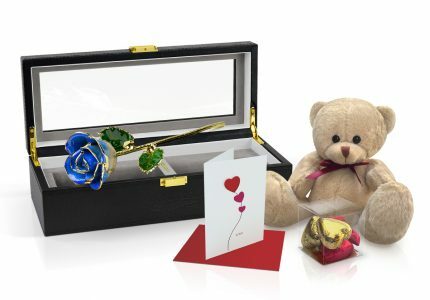 If you browse our huge range of exquisitely presented unique roses and decide on that special birthday gift for her – she won’t be disappointed, for it will show that you were thoughtful enough to search for something truly different. Giving roses as gifts has always been traditional. All flowers are adored but it’s the rose that is even more fitting for a range of different events. The only downside of real flowers and roses is they don’t last long enough – and the best ones aren’t cheap. 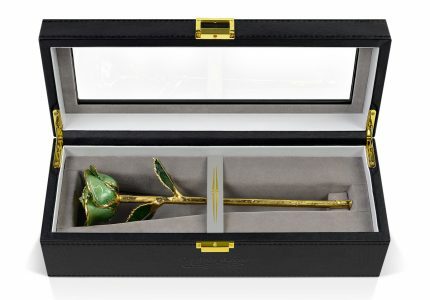 Memorialising your relationships with a gift that indicates you really care is now easier than ever, for a golden rose gift is undying and an enduring present that will stand the test of time. 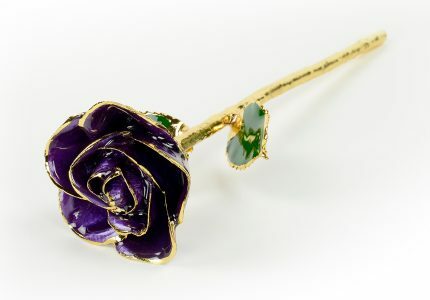 Infinity Rose only yields the highest quality real roses. Once they are assessed, they go through a three month process whereby each rose is glazed numerous times to maximise their structural integrity. 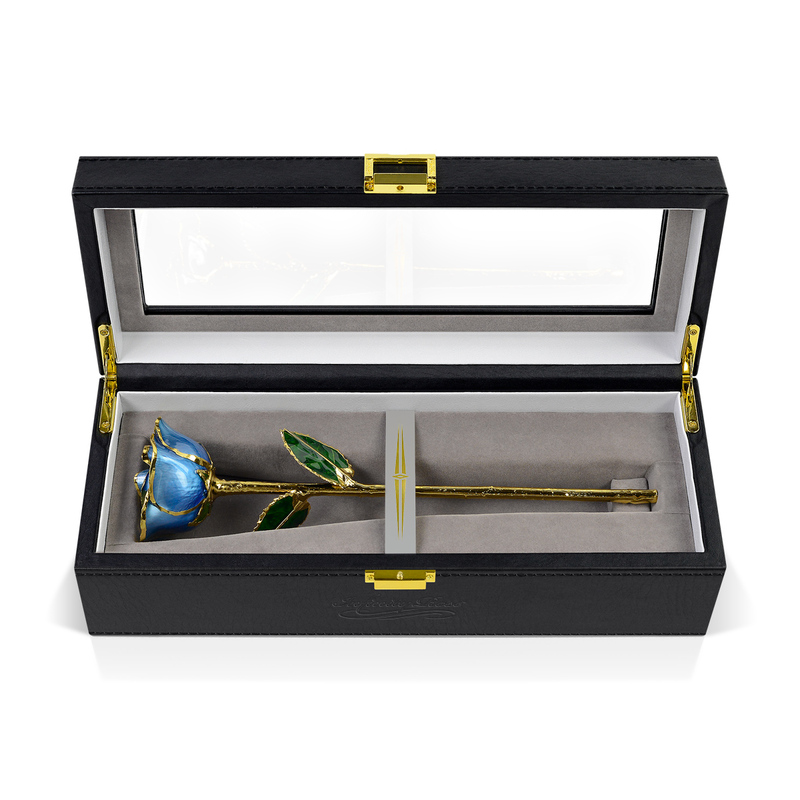 Then they are plated in real gold to produce an extraordinary specimen which captures the flower’s endless delicacy and charm. 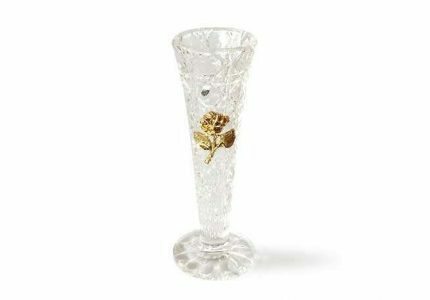 An Infinity Rose really is the perfect Wedding Anniversary gift, whether it’s for a 2nd anniversary, 20th Anniversary, 25th Wedding Anniversary or 50th Wedding anniversary. 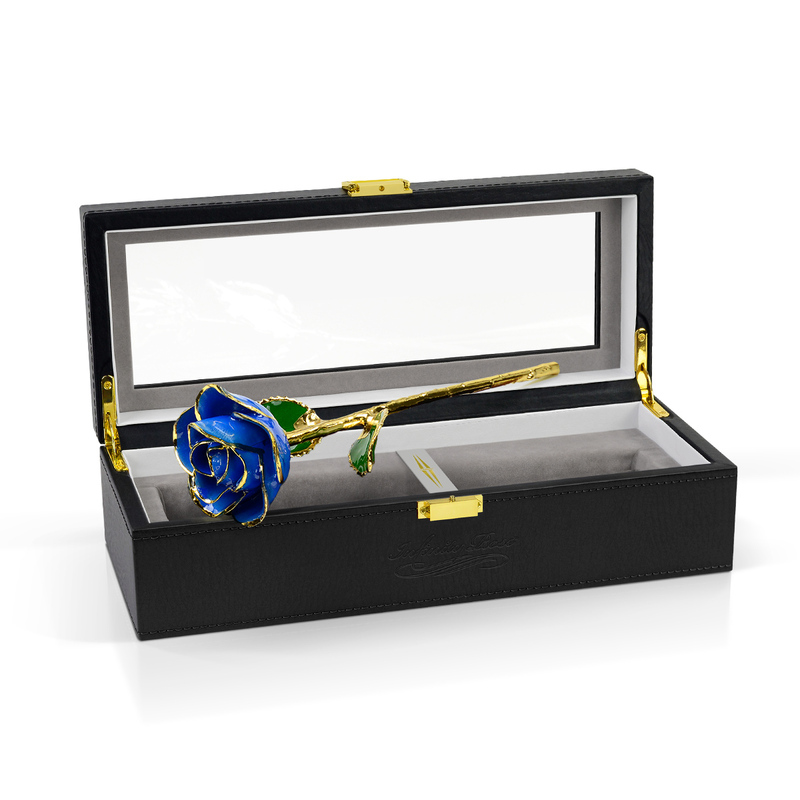 Infinity Rose is the gold standard for gold dipped roses and you don’t have to wait for those special occasions, purchase a Light Blue rose today. 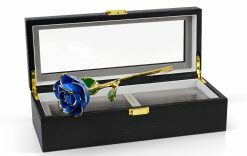 Most people try and make the effort to purchase something unique when looking a gift for someone special – flower gifts or rose gifts are such a great choice and Infinity Rose can do one better – the distinctive pairing of real roses dipped in real gold – you can’t get much more premium than that! In addition to the great product itself, we also offer free delivery and express shipping. During the manufacturing process, the Infinity Rose Quality Control Team safeguards the whole delicate process. Starting from the harvesting of the roses from the greenhouse, all the way through to the end of the production line. 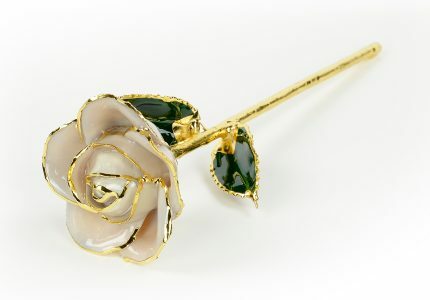 All our rose products are scrutinised to safeguard their good order and quality standard. 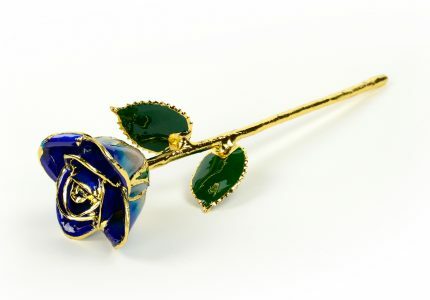 An Infinity Rose is a wonderful artefact of splendour. The Infinity Rose craftspeople who produce these gold dipped roses are dedicated and hard-working professionals. 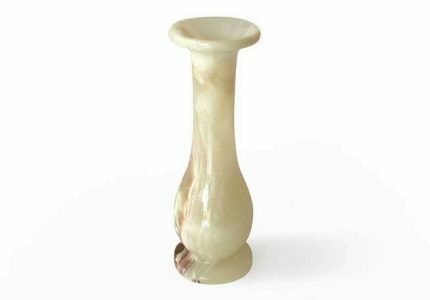 We an Infinity Rose are so assured of the high standard of our products that for any reason if you’re not satisfied, you’ll get your money back via our money back guarantee. All you have to do is return it to our postal address, along with the number on the invoice, within 90 days from the date of the invoice – and you’ll receive your refund. Please allow one week for processing. Follow and like us on our facebook page.